Loss of appetite can be described as a reluctance to eat anything. A person suffering from low appetite will not feel hungry which, in turn, decreases resistance mechanism of the human body and raises the chances of illness. This condition can arise due to a number of factors. Some of them are sedentary lifestyle, aging, anxiety and depression, pregnancy, nausea, loss of smelling and tasting power, difficulty in swallowing, dehydration, radiation treatment, drug abuse, pain, medical conditions like chronic obstructive pulmonary diseases, asthma, jaundice, yellow fever, Addison’s disease, dementia, gastrointestinal infections, hypothyroidism, AIDS, kidney and liver failures, inflammation of gallbladder, medications, stress, alcohol intake, smoking, physical inactivity, and extreme weather conditions . There are several symptoms associated with loss of appetite. Some of them are fatigue, exceptional weight loss, constipation, breathing difficulty, acidity, loose motions, abdominal cramps, indigestion, cough, general malaise, mild fever, mood swings, rapid heart rate, dizziness, nausea, reduced urine output, etc. Here are some simple home remedies for increasing the appetite in children and adults as well. Indian gooseberry works as a tonic in the gastrointestinal system. It helps reduce the problem of nausea and vomiting when mixed with honey, improves the functioning of the digestive tract and detoxifies the liver as well. It is loaded with vitamin C that boosts the immune system and facilitates mineral absorption. Make a powder of dry Indian gooseberries. Mix one tablespoon of its powder in a cup of water and leave it overnight. In the morning, add a pinch of black pepper and 2 teaspoons of lemon juice. Drink it daily on an empty stomach for a few months. Alternatively, combine 2 teaspoons each of lemon juice, Indian gooseberry and honey in a cup of water. Drink it daily on an empty stomach for 3-4 months. Moreover, try this tangy and refreshing fruit in the form of pickle. Besides, you can take a teaspoon each of Indian gooseberry powder, honey and clarified butter and mix all the ingredients properly. Consume it before your meals. Ginger is a tremendous source for stimulating appetite and relieving indigestion. It also works great for alleviating stomach aches. Chop an inch of dried ginger into tiny pieces. Boil them in 2 cups of water. Now, add some milk and sugar as per your taste. Drink it several times in a day. Alternatively, take ½ teaspoon of finely chopped ginger and add a dash of rock salt to it. Have it half an hour before your meals regularly for 10 days. Note – Apregnant woman should ask a doctor before consuming ginger. Black pepper contains piperine that leads to absorption of several nutrients including beta-carotene, selenium, and vitamin B. It stimulates the taste buds, treats gastrointestinal problems and improves digestion. Therefore, helps increase appetite. Take ½ teaspoon of ground black pepper and one tablespoon of jaggery powder. Mix both the ingredients properly and consume it regularly for some days. Alternatively, take equal proportion of black pepper, long pepper, dried ginger root, cumin seeds, celery seeds and rock salt, and grind them to make a powder. Preserve it in an airtight container. Consume 1 teaspoon of this powder just before your meal. Take it twice in a day. Note – Avoid this remedy, if you have stomach ulcers or had gone through abdominal surgery. Cardamom relieves acidity, indigestion and flatulence while improving the appetite by stimulating the secretion of digestive juices. Simply add crushed cardamom pods to your regular tea. Carom seeds help improve the release of digestive enzymes while increasing the appetite. Just chomp ½ teaspoon of carom seeds half an hour before meals. Alternatively, take some lemon juice and mix three tablespoons of carom seeds in it. Now, store them in a dark and dry place and wait until it dries completely. Afterwards, mix a little black salt. Consume one tsp of this mixture along with lukewarm water, twice a day for a few days. Take 3-4 garlic cloves and boil them in a cup of water for a few minutes. Filter the solution and add juice of half lemon to it. Drink it 2 times a day. Or else, have hot garlic soups to restore appetite. Take a handful of coriander leaves and extract their juice. Consume 1-2 tbsp of its juice daily until you see improvement. You can add a few drops of lemon juice and a dash of salt to coriander juice. It releases gastric enzymes which improves the appetite. The laxative and carminative effects of tamarind improve the appetite. Take some tamarind pulp in a bowl and add water to soften it. Then add a little pepper, sugar, cloves and cinnamon. Strain this solution and drink it on a regular basis. Alternatively, add tamarind to your curries. Note – Avoid the Malabar variety of tamarind since it represses the appetite. Caraway seeds cure the problem of low appetite. A tea made from caraway seeds also deals with digestive disorders. Boil one cup of water. Now, put two teaspoons of caraway seeds in the boiling water. Cover it with a lid and steep it for 15 minutes. Strain the infusion and add honey to sweeten it. Besides, you can add mint twig while steeping for additional flavor. Alternatively, grind some roasted caraway seeds and add a pinch of salt to it. Take ½ teaspoon of this powder after every meal to increase your appetite. Moreover, add caraway to cabbage dishes, rye bread, sauerkraut and pork, cheese sauces, coleslaw, goose, and cream soups. Sprinkle olive oil and caraway seeds on your toast. Fennel boosts up the appetite. Fennel extract should be taken in doses of 5 to 30 drops. On the other hand, oil should be taken in doses of 1 to 5 drops at a time. Alternatively, you can have fennel tea. Boil one cup of water. Then, add 1 to 2 teaspoons of freshly crushed fennel seeds. Steep the mixture on stove for 5 to 10 minutes. Note – Consuming fennel tea in large quantities may cause hallucinations and muscle cramps. This ruby-red fruit is packed with a number of vitamins and antioxidants that rejuvenate your body and increase your appetite. It removes the bad taste from mouth. So, have a fresh pomegranate juice flavored with honey. You can also add a dash of rock salt. Lemon is a natural appetite booster. Drink lime juice or squeeze it over salads and fresh fruits. Or else, drink a glassful of lemonade each morning. Add a little honey to appease your taste buds. Soak some ginger cubes in the lemon juice for a few minutes. Sprinkle a pinch of salt and chew them before lunch and dinner. Figs are famous for their soothing properties. They have high water content and are low in fat and sugar. Along with this, figs stimulate appetite. You can simply include fresh figs to salads, ice creams, cakes, soups, sandwiches, cheesecakes, or to enrich poultry and lamb meat. Besides, you can enjoy marinated figs with raspberry sauce. Note – Don’t consume figs if you are allergic to it. This delicious and juicy fruit is loaded with vitamin C and dietary fiber. It boosts up your desire for food. Just peel an orange and enjoy it before every meal. In addition, you can sprinkle a bit of pepper as well as ginger powder on orange. Raisins are rich source of minerals like calcium, manganese, iron, magnesium, fluoride, copper, and zinc. Sprinkle a pinch of salt and pepper on large-sized raisins and consume them. This is most suitable in case of appetite loss due to fever. Eat 2-3 guavas two hours before every meal to stimulate your appetite. The decoction of black gram is excellent for stimulating hunger. Boil 250 grams of black gram in 600 ml of water. Allow this mixture to cool down and strain afterwards. Consume this solution a number of times in a day. Cinnamon is mainly used to treat digestive problems, especially cramps and flatulence. Include a pinch of cinnamon in your diet to boost hunger. Take equal proportion of cinnamon bark, coriander seeds, small cardamom and fennel seeds. Combine all and soak them in cold water overnight. Filter this mixture with a coffee strainer. Drink this cold infusion early in the morning to build your appetite. Combine 6 drops of coriander oil, 3 drops ginger oil, 4 drops black pepper oil, 1 drop peppermint oil and 8 drops sage oil. Keep the mixture in an air-tight bottle and smell it whenever you feel low desire for food. Take half ounce each of dandelion root tincture, agrimony tincture, anise seed tincture, ginger root tincture and vegetable glycerin. Mix all the ingredients in a dark jar. Keep it in a cool place. Shake well before using. Combine one-fourth ounce each of dandelion root, sassafras, and sarsaparilla. Keep this mixture aside. Now, boil two cups of water. Add the mixture along with 1 tablespoon fresh grated ginger root to the boiling water. Let it steep for 20 minutes. Filter the infusion and sweeten it with honey. Serve it by adding it to 1 quart of carbonated water. Dandelion root arouses appetite when taken prior to meals. Boil a cup of water and add dandelion root powder to it. Simmer it for 5 minutes. Moreover, you can add cinnamon stick. Now, strain the solution and sweeten it with honey. Note – Consult a doctor or physician before using it. Mix 3 drops of bergamot, 4 drops of lemon and 3 drops of peppermint and massage with it. This blend can also be used as a compress. Combine mustard seeds, ginger, asafoetida, cumin seeds and black salt in equal amount and grind them in a mixture to make a fine powder. Now, add it to a glass of buttermilk. 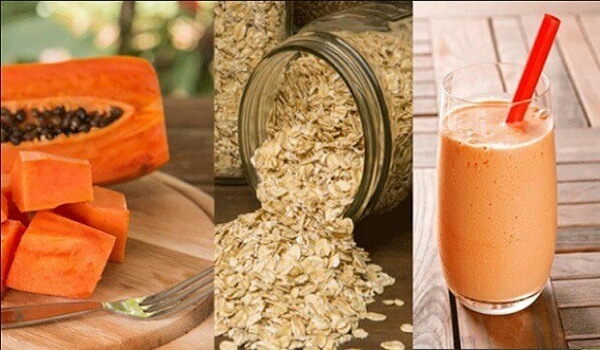 Have this drink an hour before meals to improve your appetite. Green tea is a very popular herbal remedy that stimulates hunger. It is full of antioxidants. One should drink a cup of green tea half an hour before meals. Prepare a cup of chamomile tea to improve your appetite. Take a few chamomile leaves (either dried or fresh). Steep them in a cup of boiled water for a few minutes. Afterwards strain the infusion and drink it. Basil tea is a very effective drink to overcome the lost appetite. Boil 20 grams of basil leaves in 250 ml of water till the amount of water decreases to half. Now, strain the infusion and add a dash of cardamom powder, sugar to taste and milk. Drink it two times a day. Peppermint tea helps refresh the palate that stimulates appetite. Boil a pint of water and add 1 tbsp of peppermint leaves to it. Remove it from heat and allow it to steep for 20-30 minutes. Now filter the infusion and sip the tea. Alternatively, prepare a glass of peppermint lemonade by adding some twigs to the lemonade mixture. Wait for 10 minutes and drink afterwards. Alfalfa is a very nutritious herb that stimulates the appetite and cleans out the system as well by the fiber content present in it. Just take a tbsp of fresh alfalfa juice before breakfast and lunch. Brew an alfalfa tea by boiling one cup of water. Add one tsp of dried alfalfa leaves to it and let it steep for 10-15 minutes. Include alfalfa seeds and its sprouts in your meals. Moreover, you can also consume 1-2 ml of its tincture three times a day. If you are on some other medication, consult a doctor before consuming it. Take small but frequent meals. After brushing the teeth, clean your tongue as well. This will remove the mucus. Have fresh and warm meal. Drink plenty of water. One should drink 8 glasses of water daily. Practice yoga, deep breathing and meditation to get rid of unnecessary worries. Don’t drink or eat snack before having a meal as it affects your appetite.